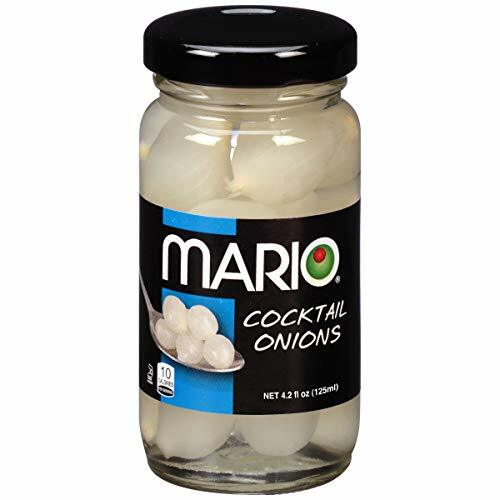 Mario Camacho Onions Cocktail comes in a 3.5 ounce jar. A cocktail onion is a small pearl onion that has been pickled or brine cured and is used to enhance the flavor of various drinks, such as a martini. In addition, they make a great recipe enhancer for many of your favorite beef, pork and ham dishes. All of our products are inspected at our dock doors by receiving personnel, as well as our QA department, before storage or use. Each delivery is inspected and weighed. Drums of raw material come in sealed containers and are tested for contaminants. On the production line, we follow a HACCP (Hazard Analysis Critical Control Point) procedure establishing several critical control points for inspection. All products are date coded and lot coded to localize any potential problem. If you have any questions about this product by Mario Camacho, contact us by completing and submitting the form below. If you are looking for a specif part number, please include it with your message. Biotta Naturals - Sauerkraut Juice For You Digestion - 16.9 oz.